Randy Wyner, founder of Chronic Tacos grew up as a regular, taco-eating kid in Orange, California; he knew good Mexican food because he was constantly surrounded by it. As a Southern California native, Wyner got a lot of exposure to taquerias – both the good and the bad. However, he found that the tastiest taquerias tended to be the family-owned, hole in the wall shacks. Wyner found that there was a deficit of this “good” type of taco joints in the Newport Beach, CA area. He was tired of having to jump in his car and drive an extensive distance to find a quality taco when the craving hit. He knew the problem, but didn’t yet realize the solution. After a long night out with his friend, Daniel Biello, in Newport Beach, CA, the two men were looking for some quality tacos but couldn’t find a worthy place nearby. That was when the idea hit him: made-to order Mexican food that was both fast and fresh. Wyner envisioned a place with great grub, but also with a fun atmosphere – a place where he could enjoy hanging out. From that moment, the idea of Chronic Tacos was born. Wyner wanted the business to be 100 percent authentic, even boiling down to the recipes incorporated into the menu. Wyner received approval to use third-generation recipes from a close family friend in the Chronic Tacos menu, ensuring that the Chronic Tacos food was traditionally Mexican yet had a taste of individuality. Neither Wyner nor Biello had restaurant experience, but they were determined to get their unique concept off the ground. The first Chronic Tacos location opened its doors in 2002 in Newport Beach when Wyner was just 26 years old, and the restaurant received quick success. The men immediately started planning how to expand to more locations, and they have loved every minute of it. 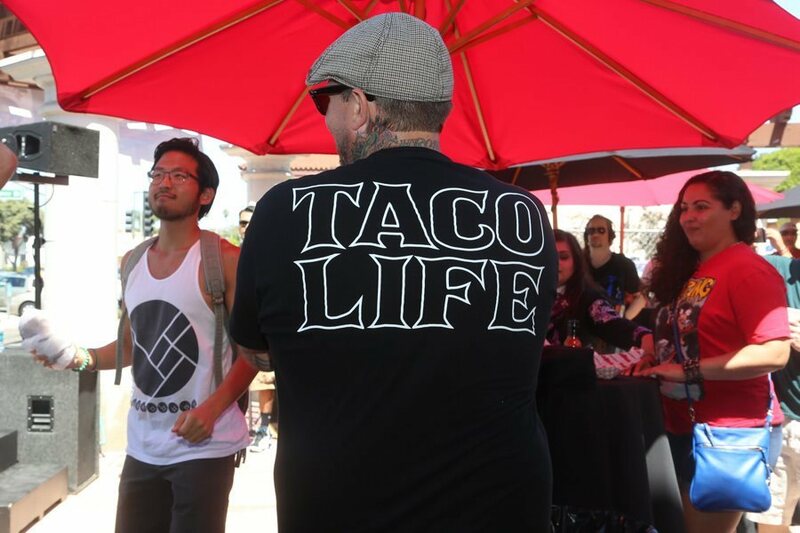 Chronic Tacos currently has more than 30 locations throughout California, Nevada and Canada. Wyner has a bright vision for the future of Chronic Tacos. For more information on how you can bring a Chronic Tacos franchise to a community near you, visit the Chronic Tacos franchising website today.